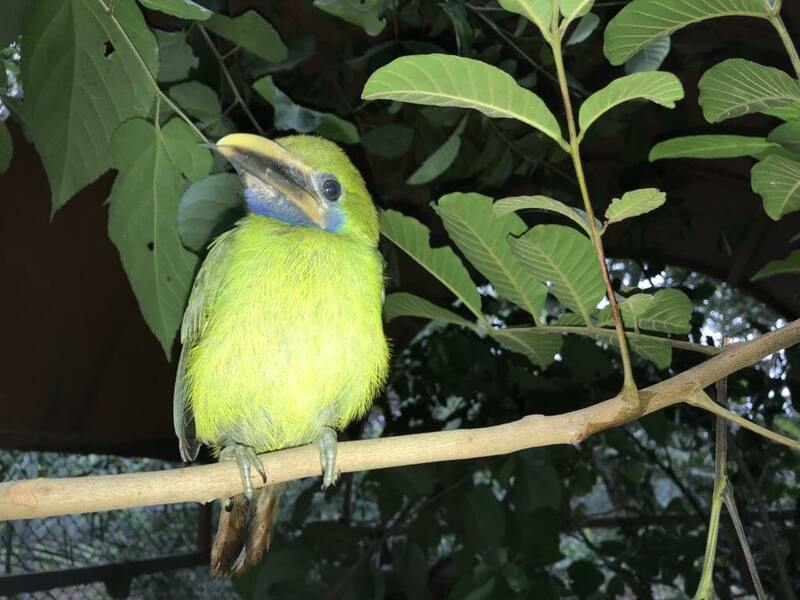 Emerald toucanet, last Sunday, May 27, we received a call from a neighbor of the Miramar community of Puntarenas; He said that a baby toucanet had fallen from a nest and had been in his house for a few days. The people decided that the best future of the bird was to try to return it to the ecosystem. Then, they decided to deliver it to NATUWA in order to rehabilitate it for future release. This type of toucanet (Aulacorhynchus prasinus) is one of the most beautiful birds of the rainforests; they inhabit the part of the canopy and edges of the forest; They can also be seen in cocoa plantations and even in areas with little trees. In Costa Rica it is distributed in intermediate elevations along the Caribbean and Pacific slopes. NATUWA rehabilitates the bird so that it manages to return to its natural ecosystem, at this moment it is in an enclosure full of vegetation that allows it to practice the flight and even has the opportunity to look for its feeding. The Aulacorhynchus is visited twice a day to be observed and to ensure that it is feeding and hydrating properly. Next, the bird will be under a process with as little human contact as possible to avoid the imprint. 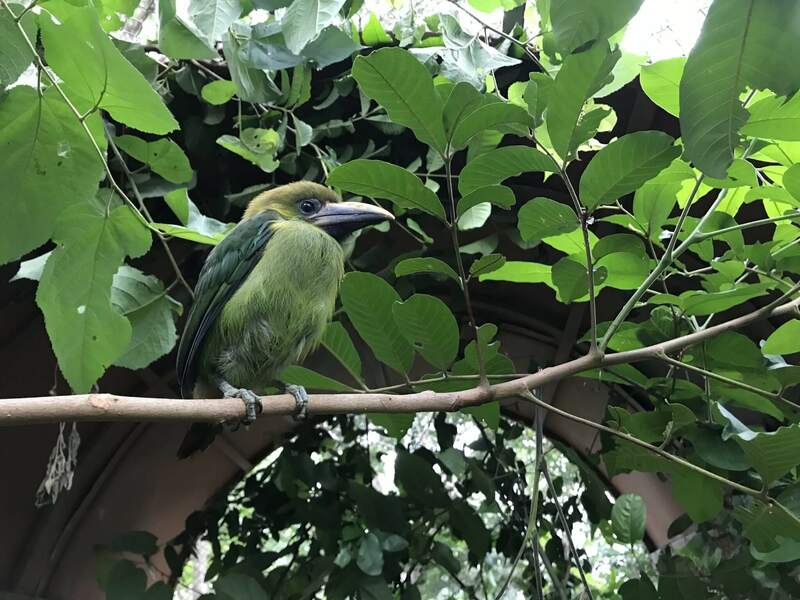 Otherwise, when the toucanet is released, it will seek the company of some person and fall prisoner into the hands of someone who will not hesitate to subject him to conditions of captivity and very unfit food.